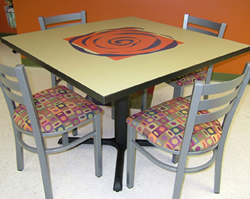 Break rooms, lounge, dining and hospitality areas are typically found in nearly all offices today. These areas are focal points for entertaining clients and can provide an area for your employees to relax and socialize during break times. 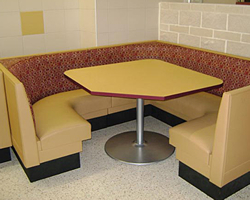 To meet that need we offer a variety options from banquette seating and lounge seating in all shapes and sizes, booth seating and individual seating. 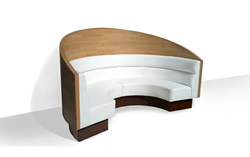 Many products offer anti-microbial finishes on the tops to prevent the buildup of bacteria along with sprayed edges to seal off areas and prevent food from being trapped.